I just saw this! 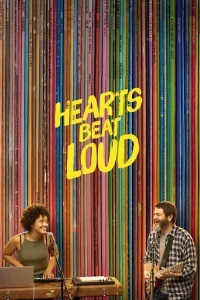 What lovely chemistry between Nick Offerman and Kiersey Clemons. And between KC and Sasha Lane. I liked that the daughter's love interest was another teenaged girl--helped the movie pass the Bechdel Test no problem. Really all the actors were great. I'm not always super keen in movies that feature so many scenes of the characters playing full songs--starts to feel like a concert movie then--but I liked it anyway. I was thrilled to see a lesbian main character where her sexuality isn’t a plot point! I thought this was such a sweet movie. Yes! It was just a given. I liked the part where her dad asks, "Do you have a new girlfriend?" because that's his default for her and then thinks for a minute and says, "do you have a boyfriend?"